Clash of Clans is a Finnish video game company. It is a “freemium” strategy game developed and published by Supercell. The latter was founded in sometime in June 2010 in Helsinki, Finland. Ikka Paananen is the current CEO. The game is available on both Android and iOS, though its release on the two platforms was not on the same dates. The game first arrived on the latter, with August 2, 2012, being its release date. As for the Clash of Clans release date of Android, it was on October 7, 2013. Soon after its release, the game saw positive reviews and garnered high ratings from many critics. The mobile game is set in a fantasy-themed, persistent world where players are chiefs of their village. The idea of the game is to allow players to build their own town. They can get resources by attacking other players with the game’s lighting features. Gold, elixir, and dark elixir are the main resources. 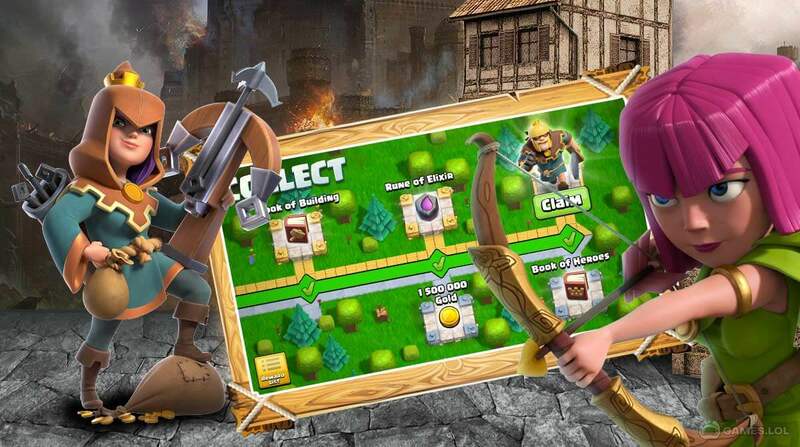 Unlike its contemporaries, Clash of Clans players can team up and form clans, which are groups of up to fifty players who can partake in the so-called Clan Wars. Even more so, they can donate and receive troops, as well as communicate with each other in-game. By essence, Clash of Clans under the category of online multiplayer game. In a setting where players from communities called clans, train troops, and attack other players to obtain resources. As of now, Supercell has introduced at least 4 currencies in the game namely gold, elixir, dark elixir, and gems. Players can protect their town from other player’s attacks with gold and elixir that can be used in building and reloading defenses. For training and upgrading troops and spells, elixir and dark elixir are used. Lastly, gems are considered premium currency and can help elevate the gameplay experience of players. In Clash of Clans, attacks are rated on a three-star scale, and each only has a maximum timed length of about three minutes. The players can attack a series of fortified goblin villages in the games’ pseudo-single player campaign feature. Once successful, they can earn both gold and elixir. The game initially starts with two Builders, but players have the option of buying up to five builders by using gems. Download and play Clash of Clans PC today!